Home > Grants > Grantee Projects > Strengthen Local Conservation Networks to Respond to Threats within the Santo Mountain Chain. Climate change and conservation workshop and launch of the Santo Sunset Environmental Network. 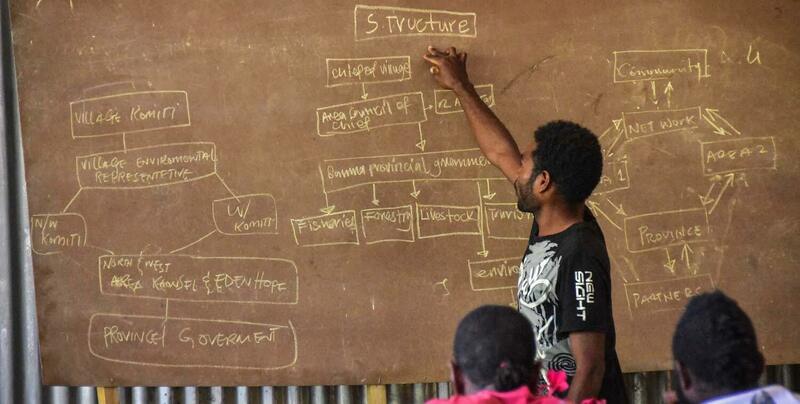 Encourage the emergence of local networks within the Santo Mountain Chain in Vanuatu's Santo province to address emerging conservation threats. This grant will convene and facilitate groups to realize current lessons and achievements to encourage conservation actions and best practices, implement national biodiversity and conservation policies and help formulate and deliver sustainable biodiversity management and conservation support to communities especially in West Coast Santo. New networks that emerge through this project will be empowered to share experiences with other networks and rally community based action to address conservation threats.